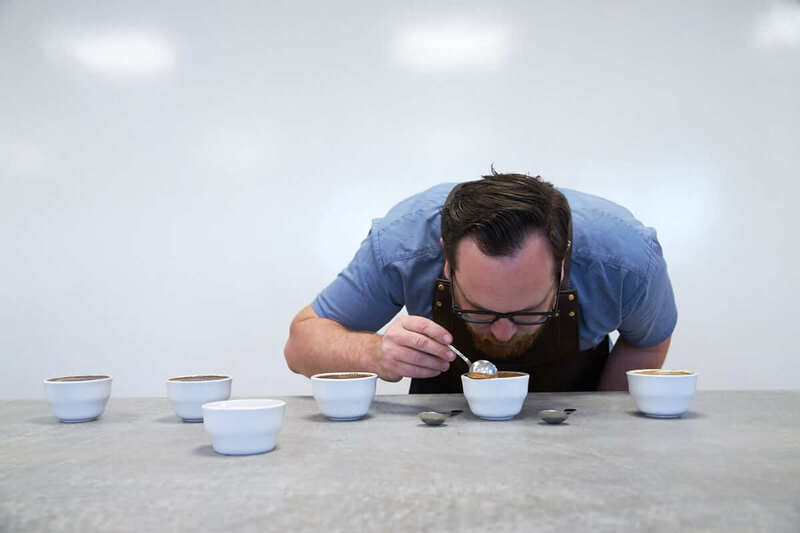 Our team of coffee specialists run regular cupping sessions, educational events and pro classes, which we encourage all our café partners to attend. Our industry events and pro classes take an in-depth look into specialised topics and tackle industry issues head on. Calling all Northern Beaches coffee lovers. You’re invited to our 50th birthday celebration! 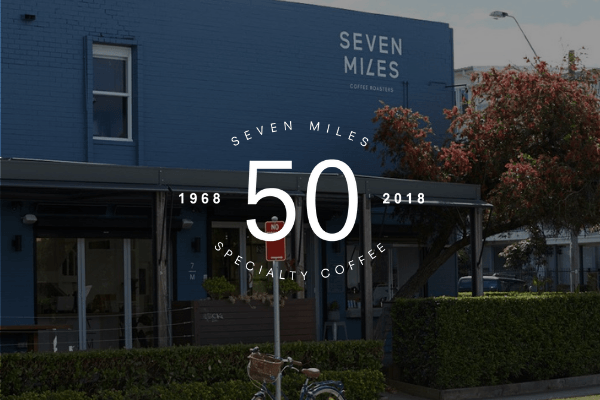 We’re celebrating 50 years of Seven Miles and will be hosting an open day at our Manly Vale roastery with FREE coffee, food and tours. From 9am-12pm, we’ll be opening our doors to give you a behind-the-scenes look into what goes into creating the best coffee in the Northern Beaches. 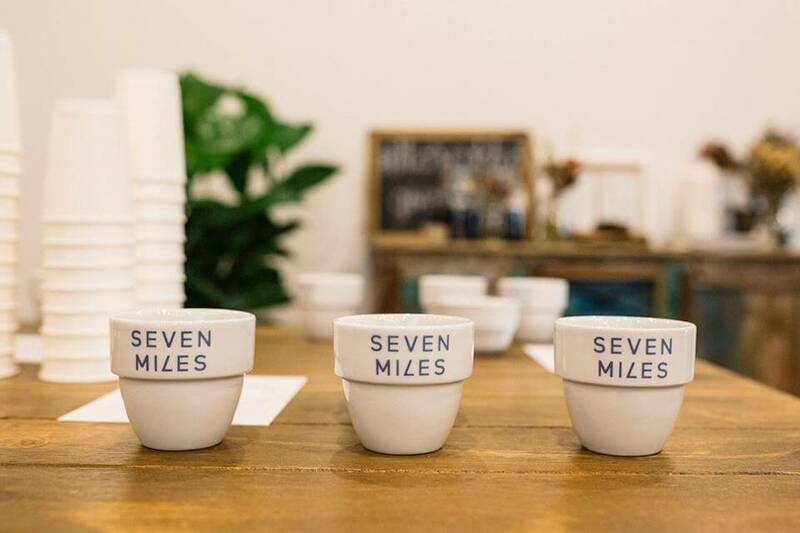 One lucky visitor will also win FREE cups of coffee from Seven Miles’ espresso window for a year. If you’d like to join us on one of our roastery tours, make sure to wear enclosed shoes. We’d hate for you to miss out on the action! Come and taste our latest specialty coffee arrivals. Includes a tour of our Roastery and our Quality Control process. What is Cupping? It’s the standard way coffee professionals taste and evaluate coffee all over the world. Not to worry, you don’t need to be a pro to join us – we’ll take you through the process. 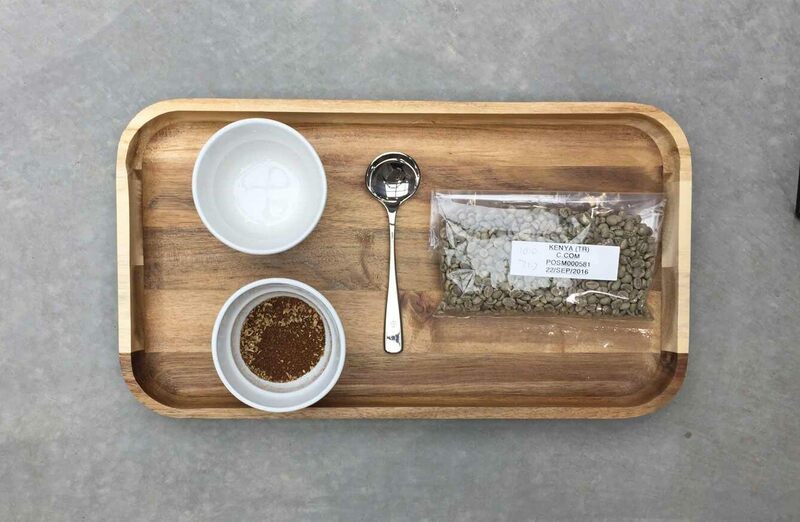 Held on the first Wednesday of every month at our Roastery in Manly Vale, our cuppings are free and open to everyone. Let us know you are coming by registering now. Join us for this free showcase of the latest automated equipment from La Marzocco, Eversys, San Remo & more. 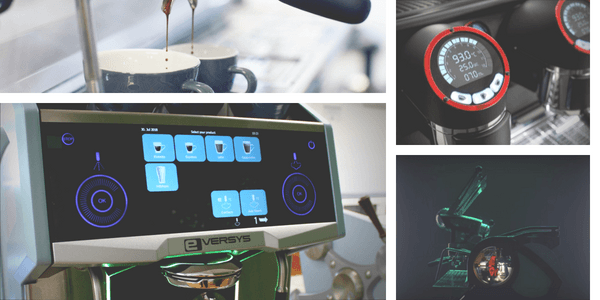 This is a chance to find out for yourself – in 2018, can an automatic machine really do the job of a skilled Barista and does it have a place in today’s cafes? We’ll also have a few drinks and light bites afterwards so we can share our own thoughts and network with the coffee community. Register now to secure your spot. As part of Fairtrade Fortnight, this month’s Cupping will focus on Fairtrade coffees. Fairtrade is about working with farmers to make the industry sustainable by paying a fair price for produce, improving environmental standards, and helping communities build better futures. At the Cupping, you’ll get to taste and compare a range of Fairtrade coffees including our very own Leaf & Berry. You’ll get to learn more about the brew we all love and also have the opportunity to check out our Roastery and QA areas. Held every month at our Roastery on Sydney’s Northern Beaches. Our cuppings are free and open to everyone. Let us know you are coming by registering now. Be the first in the know and come join us for a sneaky peek at our upcoming Single O’s. This month’s cupping on July 11 is a great opportunity to sample the very latest Single Origin coffees we have coming up later this year, before anyone else. You’ll get to taste and compare, as well as check out our Roastery and Quality Control process. For coffee pros and lovers of coffee alike this is a great way to find out more about the brew we all love. You only need an hour to go Around the World! Join us on June 6 for our free Monthly cupping session and find out about coffees from all of the key origins from around the globe. We’ll sample and compare the latest specialty coffee arrivals from the Americas – Central & South, Africa as well as the Pacific. You’ll also get a chance to check out our Roastery and Quality Control process. You don’t have to be a pro to join us, you will just have a love and interest in coffee like we do! Always on the first Wednesday of every month in Sydney’s Northern Beaches. It’s free and open to everyone. TO KEEP UP WITH ALL OUR LATEST EVENTS, SUBSCRIBE TO OUR NEWSLETTER NOW OR JOIN US ON FACEBOOK. This is a chance to find out for yourself - in 2018, can an automatic machine really do the job of a skilled Barista and does it have a place in today's cafes? As part of Fairtrade Fortnight, this month's Cupping will focus on Fairtrade coffees. At the Cupping, you'll get to taste and compare a range of Fairtrade coffees including our very own Leaf & Berry. You'll get to learn more about the brew we all love and also have the opportunity to check out our Roastery and QA areas. Held every month at our Roastery on Sydney's Northern Beaches. Our cuppings are free and open to everyone. Let us know you are coming by registering now. Be the first in the know and come join us for a sneaky peek at our upcoming Single O's. 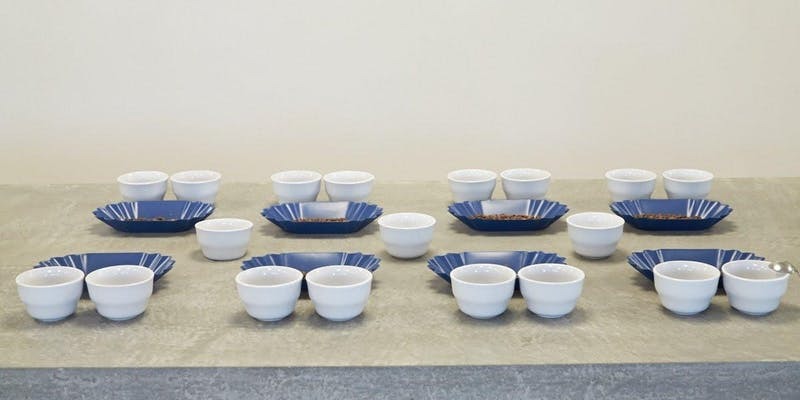 This month's cupping on July 11 is a great opportunity to sample the very latest Single Origin coffees we have coming up later this year, before anyone else. You'll get to taste and compare, as well as check out our Roastery and Quality Control process. For coffee pros and lovers of coffee alike this is a great way to find out more about the brew we all love. We'll sample and compare the latest specialty coffee arrivals from the Americas - Central & South, Africa as well as the Pacific. You'll also get a chance to check out our Roastery and Quality Control process. Always on the first Wednesday of every month in Sydney's Northern Beaches. It's free and open to everyone.